Esports began at MBU in the winter of 2015 through a volleyball coach, a student and a simple conversation that brought this team to life. Since then the team has grown, the facilities have become more high tech and sophisticated, and the program is finding a place among some of the best in the nation. 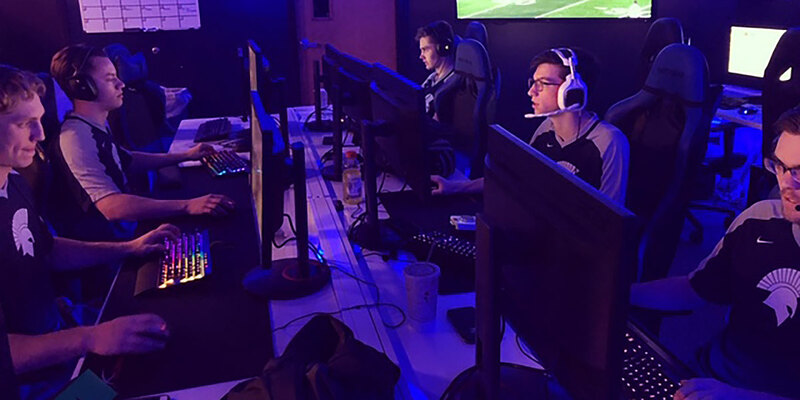 Missouri Baptist University video gamers are locked and loaded during intense competitions as the gear includes Spartan shirts, personal headphones, colorful backlit keyboards, custom chairs and, of course, plenty of caffeine and hydration.